InsuranceProviders.com found Fort Wayne to be the 5th safest city in The United States. 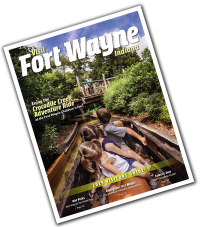 Low crime rate combined with a low amount of car accidents and medium level of natural disaster safety make Fort Wayne a safe destination for travelers. Read the article mentioned on wane.com here. Read the actual rankings here.